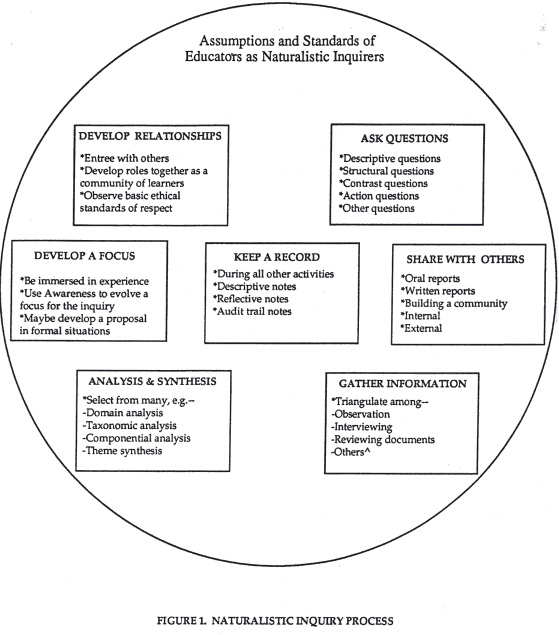 Figure 1 is a simplified representation of some of the activities often used in qualitative inquiry which were also used by the participants in this story. These activities can be used by teachers, administrators, researchers, evaluators, or anyone interested in learning using their natural skills in lived situations. The figure is a simplification, because in reality, all the activities listed are going on simultaneously in the experiences of the inquiring participants.